So - you feel your cash is safe and protected when you walk through the door of the bank or saving association, much safer than when you kept it under your mattress. And you should. BUT, are your funds all covered by FDIC insurance just because you walked into a secure-looking building with iron bars and guards? Not necessarily - it depends on which of the bank's products you decide to use and whether the bank is FDIC insured. 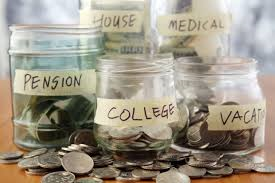 You are probably familiar with the traditional types of bank accounts - checking, savings, trust, certificates of deposit (CDs), and IRA retirement accounts - that are insured by the FDIC. Banks also may offer what is called a money market deposit account, which earns interest at a rate set by the bank and usually limits the customer to a certain number of transactions within a stated time period. All of these types of accounts generally are insured by the FDIC up to the legal limit of $100,000 and sometimes even more for special kinds of accounts or ownership categories. For more information on deposit insurance see FDIC brochure "Your Insured Deposits." Increasingly, institutions are also offering consumers a broad array of investment products that are not deposits, such as mutual funds, annuities, life insurance policies, stocks and bonds. Unlike the traditional checking or savings account, however, these non-deposit investment products are not insured by the FDIC. Investors sometimes favor mutual funds over other investments, perhaps because they hold promise of a higher rate of return than say, CDs. And with a mutual fund, such as a stock fund, your risk - the risk of a company going bankrupt, resulting in the loss of investors' funds - is more spread out because you own a piece of a lot of companies instead of a portion of a single enterprise. A mutual fund manager may invest the fund's money in either a variety of industries or several companies in the same industry. Or your funds may be invested in a money market mutual fund, which may invest in short-term CDs or securities such as Treasury bills and government or corporate bonds. Do not confuse a money market mutual fund with an FDIC-insured money market deposit account (described earlier), which earns interest in an amount determined by, and paid by, the financial institution where your funds are deposited. You can - and should - obtain definitive information about any mutual fund before investing in it by reading a prospectus, which is available at the bank or brokerage where you plan to do business. The key point to remember when you contemplate purchasing mutual funds, stocks, bonds or other investment products, whether at a bank or elsewhere, is: Funds so invested are NOT deposits, and therefore are NOT insured by the FDIC - or any other agency of the federal government. Treasury securities include Treasury bills (T-bills), notes and bonds. T-bills are commonly purchased through a financial institution. Customers who purchase T-bills at banks that later fail become concerned because they think their actual Treasury securities were kept at the failed bank. In fact, in most cases banks purchase T-bills via book entry, meaning that there is an accounting entry maintained electronically on the records of the Treasury Department; no engraved certificates are issued. Treasury securities belong to the customer; the bank is merely acting as custodian. Customers who hold Treasury securities purchased through a bank that later fails can request a document from the acquiring bank (or from the FDIC if there is no acquirer) showing proof of ownership and redeem the security at the nearest Federal Reserve Bank. Or, customers can wait for the security to reach its maturity date and receive a check from the acquiring institution, which may automatically become the new custodian of the failed bank's T-bill customer list (or from the FDIC acting as receiver for the failed bank when there is no acquirer). Even though Treasury securities are not covered by federal deposit insurance, payments of interest and principal (including redemption proceeds) on those securities that are deposited to an investor's deposit account at an insured depository institution ARE covered by FDIC insurance up to the $100,000 limit. And even though there is no federal insurance on Treasury securities, they are backed by the full faith and credit of the United States Government - the strongest guarantee you can get. The contents of a safe deposit box are not insured by the FDIC. (Make sure you read the contract you signed with the bank when you rented the safe deposit box in the event that some type of insurance is provided; some banks may make a very limited payment if the box or contents are damaged or destroyed, depending on the circumstances.) If you are concerned about the safety, or replacement, of items you have put in a safe deposit box, you may wish to consider purchasing fire and theft insurance. Separate insurance for these perils may be available; consult your insurance agent. Usually such insurance is part of a homeowner's or tenant's insurance policy for a residence and its contents. Again, consult your insurance agent for more information. In the event of a bank failure, in most cases an acquiring institution would take over the failed bank's offices, including locations with safe deposit boxes. If no acquirer can be found the FDIC would send boxholders instructions for removing the contents of their boxes. Stolen funds may be covered by what's called a banker's blanket bond, which is a multi-purpose insurance policy a bank purchases to protect itself from fire, flood, earthquake, robbery, defalcation, embezzlement and other causes of disappearing funds. In any event, an occurrence such as a fire or bank robbery may result in a loss to the bank but should not result in a loss to the bank's customers. If a third party somehow gains access to your account and transacts business that you would not approve of, you must contact the bank and your local law enforcement authorities, who have jurisdiction over this type of wrongdoing.